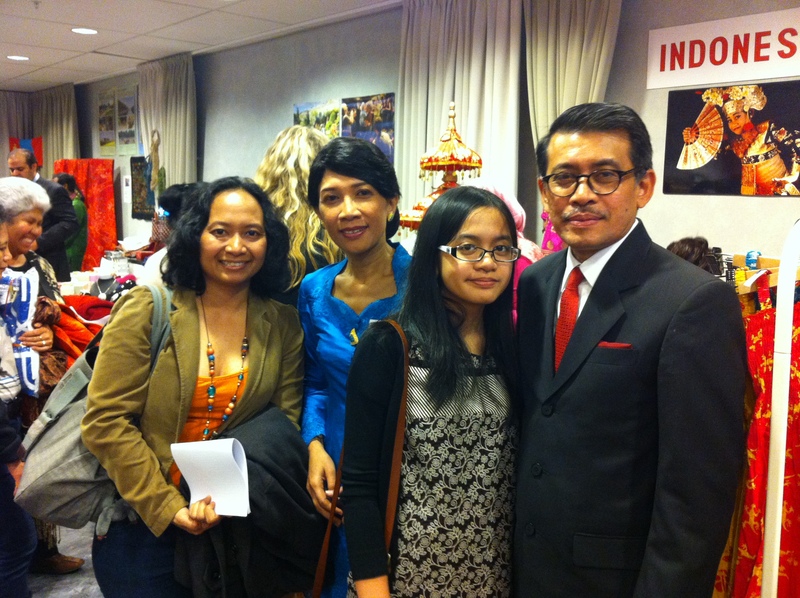 Today, finally I met the Indonesian Ambassador for Sweden after exchange words in FB and after many years from the last time we seen each other in the UK. They are still a humble family that I met a couple years ago and I’m glad to meet them again here. Hopefully we could meet again soon, maybe in different situation. This afternoon, it wasn’t the right time to have time to catch up about what we’ve been up to for more than 4 years. International Woman Club Bazaar that held this year in Elite Palace Hotel, Stockholm was bigger than last time but still it was hard to move around because so many visitors would like to see and browse art, craft, food and souvenirs from many different countries which has their embassy in Stockholm. I bought three scarfs from Thailand’s stand and to be honest, the price was ridiculously cheap, 20 Swedish krone not bad 😀 Next year, I’ll come earlier and go straight to the Thai’s stand and check if they have another scarf to buy haha! Saturday, my P and I had our first lunch picnic by the water in Tyresö. 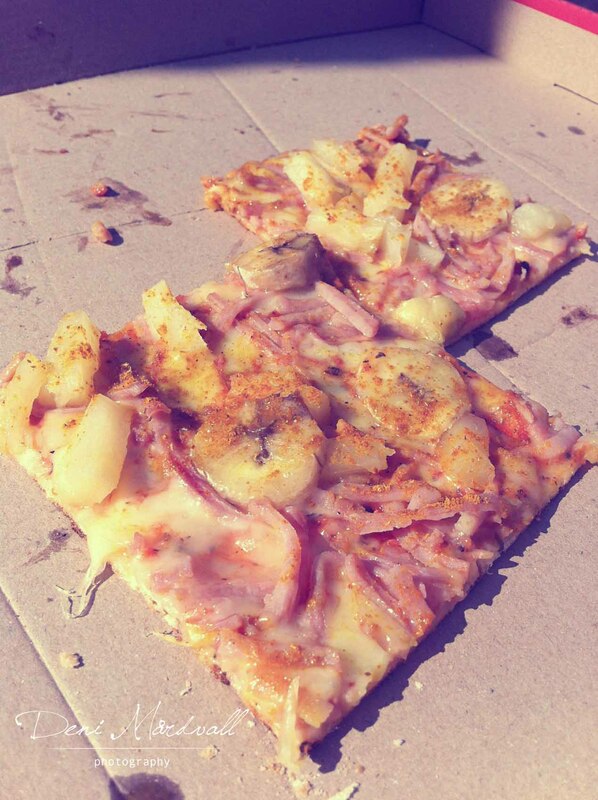 We had pizza and believe me… with the breathtaking view, normal pizza tasted like gourmet food 😀 I found out that actually banana could make the pizza have fantastic taste and I admitted that I like it 🙂 Something that I never thought that I could eat before. Even though the weather was not the best weather to have lunch outside, but we survived by the water haha! I said to myself to go again there and next time I’ll bring my SLR camera and take a better pictures. The ones that I have from my mobile phone were okay but I’m not really satisfied with them. I amazed that I took almost 50 pictures and it is hard to choose which one I should out it up here. Maybe I’ll put it in another post which tells special about a place called, Tyresö. We went around and we found some places that were very cute and we would like to have a long stroll there, maybe when the weather a bit better, at least the sun is up and we don’t need to use our thick winter jacket. This entry was posted in Being 35, cerita harian, every day, Spring. Bookmark the permalink.